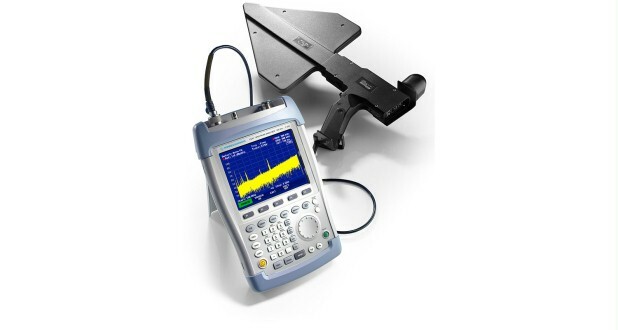 The TV Analyzer R&S®FSH3-TV combines the functions and features of a complete spectrum analyzer with those of a TV test receiver in a single measurement instrument. 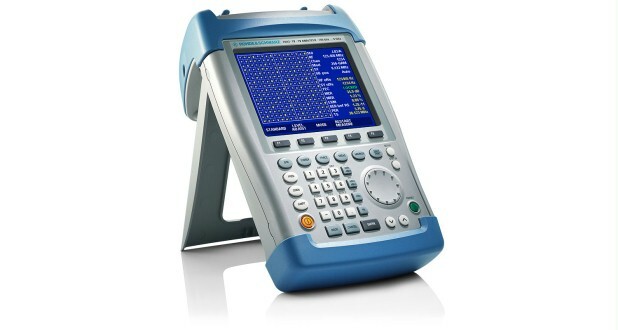 The TV Analyzer R&S®FSH3-TV combines the functions and features of a complete spectrum analyzer with those of a TV test receiver in a single measurement instrument. 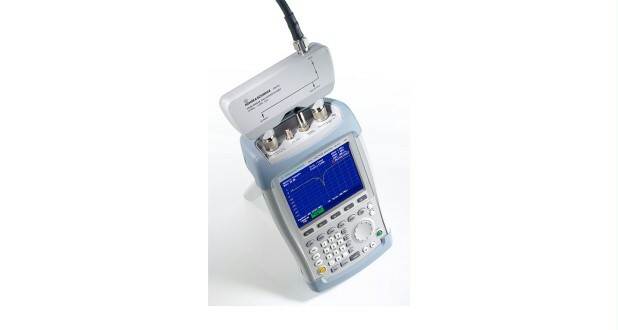 It can be taken wherever needed and is ideal for technicians who perform measurements on site – for example, during new installations or maintenance and repair work on components of TV cable networks and transmitters. The instrument's compact housing is designed for portable use. Its robust edge protection and RF connector covers safeguard the R&S®FSH3-TV against mechanical and weather-related conditions. The R&S®FSH3-TV weighs only 2.8 kg. It has a sturdy carrying handle that also makes reading the display easy when the instrument is placed on a flat surface. In addition, an integrated stand allows the R&S®FSH3-TV to be positioned to the optimum angle for reading results. The powerful, built-in NiMH battery can power the instrument for up to four hours, thus providing reliable operation even at remote locations. The R&S®FSH3-TV is operated by means of convenient menus and softkeys. Frequently used functions can be selected directly. In addition, a rotary knob allows quick and easy variation of entry values and the selection of items from menus. Measured values and menus are shown on a backlit color liquid crystal display. The display remains legible even under difficult lighting conditions (daylight). The TV Analyzer R&S®FSH3-TV comes equipped with a TV board, a preamplifier and a tracking generator. The TV board permits measurements of analog TV signals and their demodulation. The demodulated video signal, which is made available at an output that can be used either as a CCVS (analog TV) or as a TS-ASI (digital TV) output, can be routed to an external monitor or an MPEG decoder. The supplied headphones can be used to listen to the sound of the analog TV signal. The TV Analyzer R&S®FSH3-TV offers the same scope of functions as any spectrum analyzer from the R&S®FSH family of Rohde & Schwarz instruments. 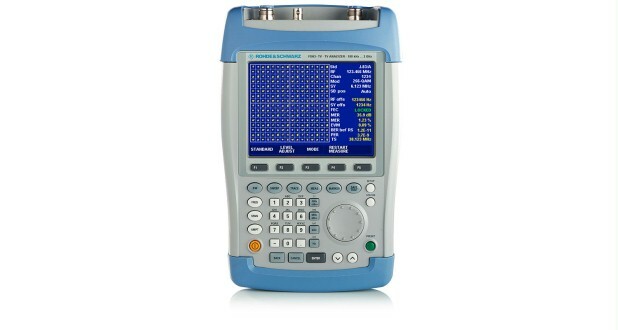 However, additional settings and options have been added that are specially designed for measurements needed by TV cable operators and transmitter network operators. The main expansion is the TV board integrated in the base unit. This board provides additional capabilities for analyzing and demodulating analog and digital TV signals. The following table provides a summary of the available TV standards. 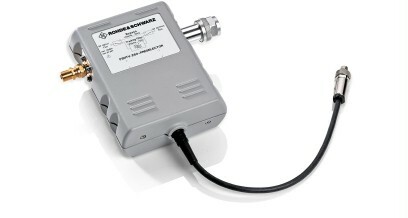 The R&S®FSH3-TV comes equipped with a female N connector (50 Ω) for the RF input. To ensure that the correct characteristic impedance is achieved when the R&S®FSH3-TV is connected to cable network components or, for example, to TV antenna systems with 75 Ω impedance, the R&S®RAZ and R&S®FSH-Z38 50 Ω/75 Ω matching pads are offered as options. If the R&S®FSH3-TV is intended for frequent use in cable networks, the new Preselector R&S®FSHTV-Z60 is recommended. This option, which is connected ahead of the broadband RF input of the R&S®FSH3-TV, improves the usable dynamic range particularly in the case of densely occupied cable systems. The preselector option is simply screwed onto the RF input of the R&S®FSH3-TV and connected to the base unit with a control cable. The power for the option is also supplied via the control cable. The RF input of the preselector option is a 75 Ω female F connector. If the F connector becomes damaged, it can easily be replaced and the R&S®FSH3-TV can be used again immediately.